Note 1: Like fighting games? Check out my reviews of Fatal Fury: First Contact, Fatal Fury 2, Nekketsu Riki Kunio, Saturday Slam Masters, 3 Count Bout, and WWF WrestleFest! Quick History: Teenage Mutant Ninja Turtles Tournament Fighters was released for the NES in North America and Europe in 1994, but surprisingly, the game was not released in Japan. It was released at the very end of the NES’ life cycle, as less and less games were being made for the system. By 1994, the NES’ successor, the Super Nintendo, was firmly established as the dominant home console (as well as competitor Sega Genesis), and TMNT Tournament Fighters was over-looked by most gamers (or they never knew it existed in the first place), even TMNT fans. Interestingly, both the Super Nintendo and Sega Genesis released a version of TMNT Tournament Fighters as well, but those games (while different from one another) were unlike the NES release. 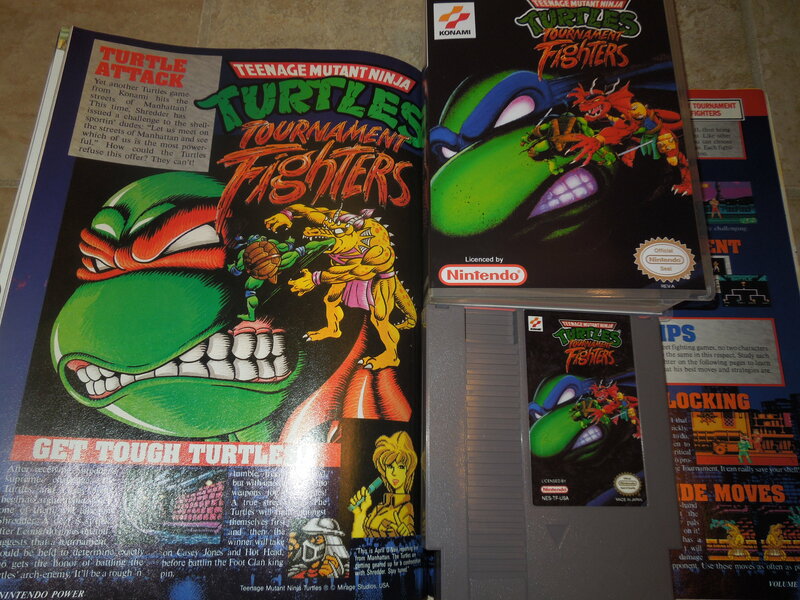 While many gamers are familiar with the first 3 NES Turtle games (TMNT, TMNT 2: The Arcade Game, TMNT 3: The Manhattan Project), this 4th game, TMNT Tournament Fighters, received a lower-production run than the ultra-successful original 3 Turtles games for the NES. Tournament Fighters is one of the few one-on-one fighting games for the NES. Gameplay: TMNT Tournament Fighters is a one-on-one fighting game, similar to well-known games of that genre like Street Fighter II or Mortal Kombat. Either against the CPU or against another human player, you select from among 7 characters and fight in a ‘best of 3 rounds’ match against the game’s other characters. Modes: Many options are available in TMNT Tournament Fighters. 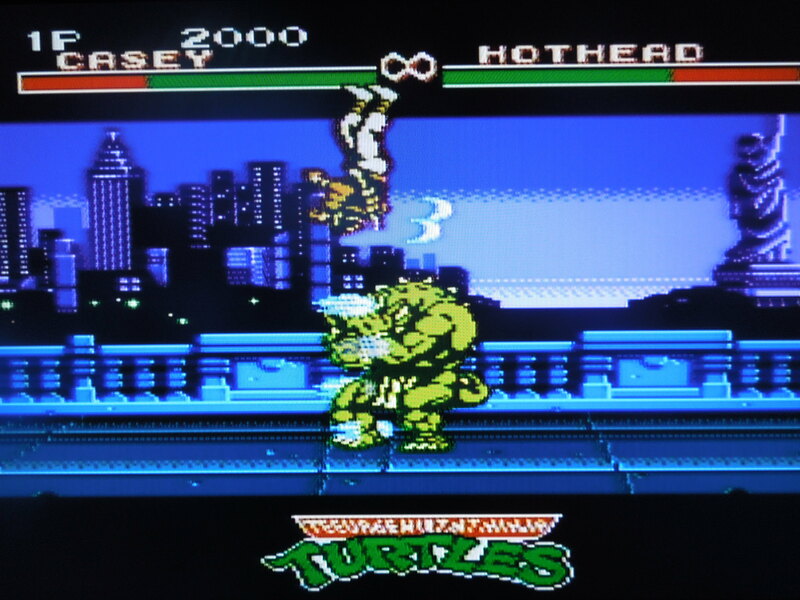 A ‘Story’ mode is available, where the Turtles are challenged by their arch-enemy, Shredder to “meet in the streets to find out who is the best.” This mode simply has you choose 1 of the 4 Turtles and battle through the other characters in the game (including a ‘mirror’ match vs your own character). Additionally, for 1 player, you can select a quick match vs the computer, or for 2 players, vs each other. 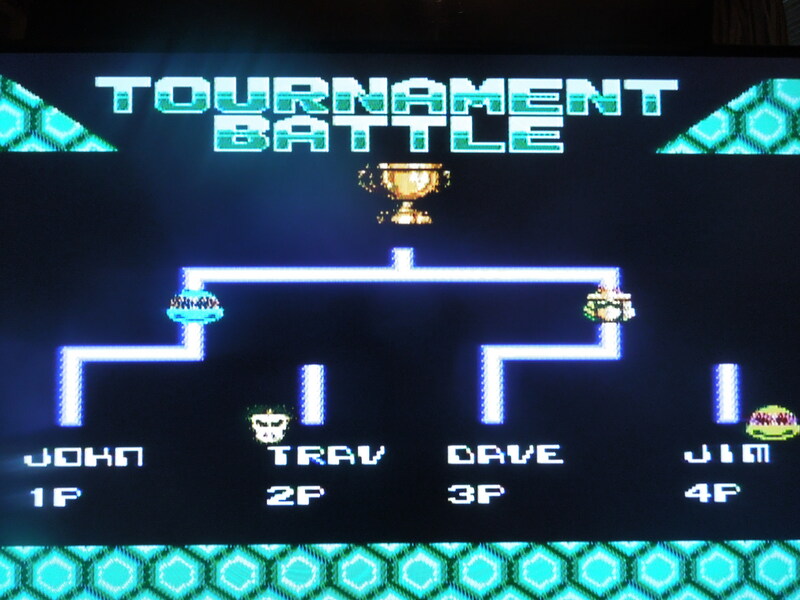 Another nice addition is the ‘Tournament,’ where any combination of human characters or CPU characters participate in a Knockout-Tournament to decide a champion. Tournament Mode allows 4 players to compete. Characters: Leonardo, Donatello, Michelangelo, Raphael, Shredder, Casey Jones, and Hot Head are the game’s 7 selectable characters. 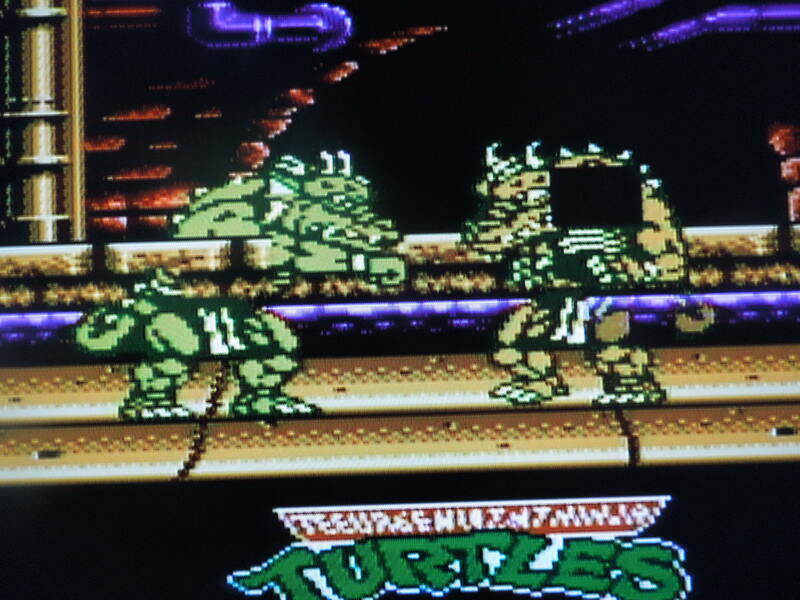 The 4 Turtles are all palette-swapped versions of each other with slightly different colors; however, each one has their own unique special move(s) and particular animations. The Turtles all fight bare-handed. In 2 player VS, both human players could select the same characters, with the exception of Hot Head vs Hot Head. In Issue 54 of Nintendo Power, where this game was introduced, this line was given to explain why you couldn’t do this: “You can’t fight as Hot Head vs. Hot Head because the dragon spirit won’t allow such a battle to take place.” That always struck me as odd, even back in 1994. However, there is a way to achieve Hot Head vs Hot Head. If you select VS. CPU, pick Casey Jones or Shredder as your player and Hot Head as your CPU opponent, then win or lose your match, once you select ‘Re-match,’ you’ll be able to highlight Hot Head with both the ‘1 player’ and ‘CPU’ cursor to create the ‘forbidden’ match. 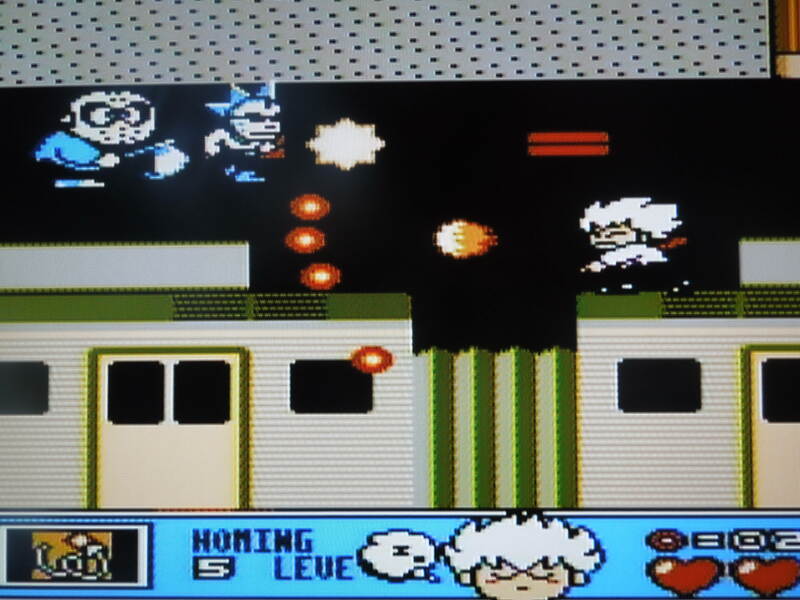 It’s only then that you see why the developers didn’t want you to play this way – because Hot Head is so big, when you have two of him on screen at the same time, the game flickers a lot, and it doesn’t look good at all. However, you can still play the match with no problem despite this. Hot Head vs Hot Head matches are a flickery mess. Options: The Options menu allows you to alter your Continues (for Story Mode), change the difficulty level, and change the game speed (from Normal to Turbo). All of these are welcome additions to the game. Personally, I feel the Turbo option is the best way to play, as Normal just feels a bit too slow. The game is simple enough to beat on Easy (although Shredder, your opponent in the game’s final match, is still tough), but the game amps up considerably beyond Easy mode. Control: There aren’t a lot of great reviews for TMNT Tournament Fighters online, and the few I have found often site things like ‘unresponsive’ control for the game’s special moves. This couldn’t be further from wrong. The game controls extremely well, and pulling off the one or two special moves each character has works every time, as long as you’re inputting the control motions correctly. I have noticed that original source material, like the issue of Nintendo Power that originally reviewed the game, incorrectly listed how to utilize certain special moves – it’s entirely possible that the game’s instruction manual did this to, although I don’t own once to know for sure. There is an FAQ available online that mostly lists the moves correctly, with the exception of Casey Jones’ hockey stick attack (Hold Down/Away, then press Up + B). Since each character has only 1 or 2 special moves, they’re easy to memorize, and using them in-game is a key to winning. Special moves are a cinch to pull off, although each character only has one or two. Music & Sound: Meh. Nothing great here. The music is absolutely nothing special, and the sound effects could have been better. The punches and throws and special moves all have their own noises, but the NES, especially in 1994, could have done better than what’s here. So, where can I find this game? EBay. The game has not been released for any modern-gaming download services like Nintendo’s eShop. You can also play the rom on your computer. 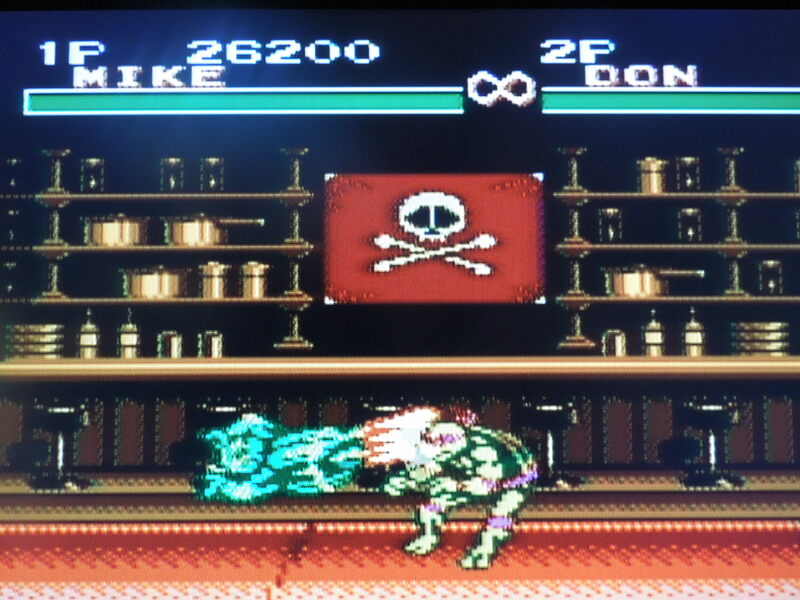 Conclusion: TMNT Tournament Fighters for the NES is an average game. It controls well, looks OK, and is one of the few one-on-one fighting games available for the system. The multitude of gameplay modes, as well as a decent Options menu, help the game. Beyond that, it’s just not a very ‘involved’ fighting game like Street Fighter 2, Mortal Kombat, or even the Super Nintendo version of TMNT Tournament Fighters. While there is some small bit of fighting strategy to beating the game’s opponents, you’ll often have to rely on just hitting your same special move over and over to get the win. 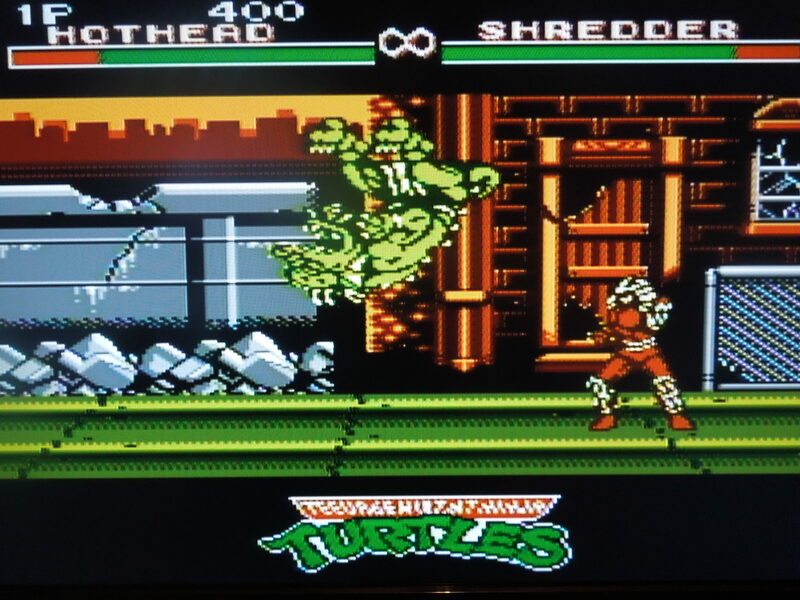 This is the only NES Turtles game where you can play as Shredder.